MOSCOW, October 3. /TASS/. Kiev’s authorities will hardly dare to launch a massive conflict in Donbass, as it will lead to the crash of the Ukrainian regime, said former Ukrainian Prime Minister Nikolai Azarov at a press conference devoted to the current situation in this country. "I am confident that neither the Americans nor the current Kiev regime will dare to launch a massive conflict in Donbass, as it will mean the end of this regime," Azarov said. "However, I think that the provocations that Kiev is constantly carrying out may repeat." 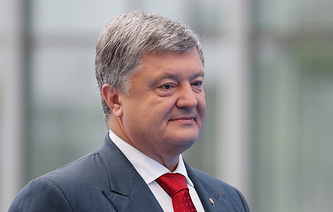 Commenting on Ukrainian President Pyotr Poroshenko’s decision to introduce a draft law to Verkhovna Rada to extend the special status of Donbass, the former Ukrainian prime minister said that its adoption would not change anything. "The thing is the law has been in effect since 2014… Can you name the part of this law that was executed by Kiev? Not a single one," Azarov explained. "It is a fabrication that Ukraine wants to use as cover against the French and the Americans, who call on Kiev to at least formally support the execution of the Minsk agreements." "So, I think that hardly anything will change after extending the law on the special status of Donbass," he concluded.